We are leading manufacturer of Straight Temple Human Loose HairWe supply to sell wholesale Indian hair in India without any mixing. This hair is authentic, remy virgin human hair. We offer to sell low prices in the market. We sell high quality Indian natural hair with natural color. This natural color hair can be dye and bleach to change the color of the hair. It’s available in 10 to 30 inch hair lengths. It is 100 % temple raw hair. These hairs can be easily restyled. It is natural human hair with natural shine and smoothness. We Are Leading Preparer of Natural Wavy Bulk Hair We Supply to Sell Wholesale Indian Hair in India Without Any Mixing. This Hair is Authentic, Remy Virgin Human Hair. We Offer to Sell Low Prices in the Market. We Sell High Quality Indian Natural Hair With Natural Color. This Natural Color Hair Can Be Dye and Bleach to Change the Color of the Hair. It’s Available in 10 to 30 Inch Hair Lengths. It is 100 % Temple Raw Hair. These Hairs Can Be Easily Restyled. It is Natural Human Hair With Natural Shine and Smoothness. We are manufacturer and exporter of high quality Temple raw bulk hair. Temple raw bulk hair broadly demanded in international. Owing to extensive domain expertise and market understanding, we are instrumental in providing our clients an best possible quality array of Virgin Bulk Hair. With the help of our industry experts, we are occupied in offering a wide assortment of Virgin Bulk Hair that is procured from the reputed vendors of the industry. Processed under hygienic conditions using the finest quality Virgin Bulk Hair and superior processing machines, this Virgin Bulk Hair is in compliance with the international standards. All these hairs is natural human hair. We Are Leading Preparer of Braiding Bulk Hair We Supply to Sell Wholesale Indian Hair in India Without Any Mixing. This Hair is Authentic, Remy Virgin Human Hair. We Offer to Sell Low Prices in the Market. We Sell High Quality Indian Natural Hair With Natural Color. This Natural Color Hair Can Be Dye and Bleach to Change the Color of the Hair. It’s Available in 10 to 30 Inch Hair Lengths. It is 100 % Temple Raw Hair. These Hairs Can Be Easily Restyled. It is Natural Human Hair With Natural Shine and Smoothness. 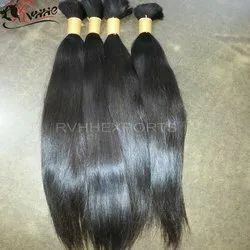 We are leading manufacturer of Silky Straight Bulk Indian Remy HairWe supply to sell wholesale Indian hair in India without any mixing. This hair is authentic, remy virgin human hair. We offer to sell low prices in the market. We sell high quality Indian natural hair with natural color. This natural color hair can be dye and bleach to change the color of the hair. It’s available in 10 to 30 inch hair lengths. It is 100 % temple raw hair. These hairs can be easily restyled. It is natural human hair with natural shine and smoothness. Amidst our wide range of products, we are also engaged in manufacturing, exporting, wholesaling and supplying optimum quality Hair Bulk. This hair is widely demanded among our clients for due to its smooth texture, long lasting finish and natural shine. In the cleaning, washing and processing procedures of this hair, we make use of advanced technology in compliance with international quality standards. 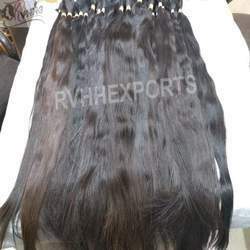 We Are Leading Preparer of Remy Silky Bulk Hair we Supply to Sell Wholesale Indian Hair in India Without Any Mixing. This Hair is Authentic, Remy Virgin Human Hair. We Offer to Sell Low Prices in the Market. We Sell High Quality Indian Natural Hair With Natural Color. This Natural Color Hair Can Be Dye and Bleach to Change the Color of the Hair. It’s Available in 10 to 30 Inch Hair Lengths. It is 100 % Temple Raw Hair. These Hairs Can Be Easily Restyled. It is Natural Human Hair With Natural Shine and Smoothness. 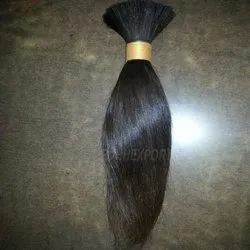 We are leading manufacturer of Single Drawn Bulk Human Hair We supply to sell wholesale Indian hair in India without any mixing. This hair is authentic, remy virgin human hair. We offer to sell low prices in the market. We sell high quality Indian natural hair with natural color. This natural color hair can be dye and bleach to change the color of the hair. It’s available in 10 to 30 inch hair lengths. It is 100 % temple raw hair. These hairs can be easily restyled. It is natural human hair with natural shine and smoothness. We Are Leading Preparer of Wavy Bulk Human Hair we Supply to Sell Wholesale Indian Hair in India Without Any Mixing. This Hair is Authentic, Remy Virgin Human Hair. We Offer to Sell Low Prices in the Market. We Sell High Quality Indian Natural Hair With Natural Color. This Natural Color Hair Can Be Dye and Bleach to Change the Color of the Hair. It’s Available in 10 to 30 Inch Hair Lengths. It is 100 % Temple Raw Hair. These Hairs Can Be Easily Restyled. It is Natural Human Hair With Natural Shine and Smoothness. 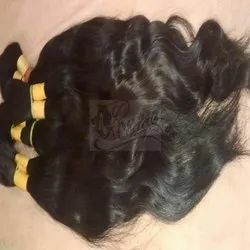 We Are Leading Preparer of Indian Remy Natural Bulk Human Hair we Supply to Sell Wholesale Indian Hair in India Without Any Mixing. This Hair is Authentic, Remy Virgin Human Hair. We Offer to Sell Low Prices in the Market. We Sell High Quality Indian Natural Hair With Natural Color. This Natural Color Hair Can Be Dye and Bleach to Change the Color of the Hair. It’s Available in 10 to 30 Inch Hair Lengths. It is 100 % Temple Raw Hair. These Hairs Can Be Easily Restyled. It is Natural Human Hair With Natural Shine and Smoothness. 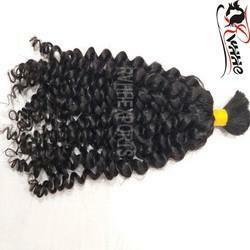 We are leading manufacturer of Indian Bulk Curly Hair. We supply to sell wholesale Indian hair in India without any mixing. This hair is authentic, remy virgin human hair. We offer to sell low prices in the market. We sell high quality Indian natural hair with natural color. This natural color hair can be dye and bleach to change the color of the hair. It’s available in 10 to 30 inch hair lengths. It is 100 % temple raw hair. These hairs can be easily restyled. It is natural human hair with natural shine and smoothness. We are leading manufacturer of Wavy Bulk HairWe supply to sell wholesale Indian hair in India without any mixing. This hair is authentic, remy virgin human hair. We offer to sell low prices in the market. We sell high quality Indian natural hair with natural color. This natural color hair can be dye and bleach to change the color of the hair. It’s available in 10 to 30 inch hair lengths. It is 100 % temple raw hair. These hairs can be easily restyled. It is natural human hair with natural shine and smoothness. 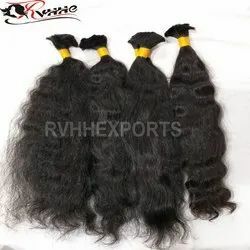 We Are Leading Preparer of Bulk Remy Human Hair We Supply to Sell Wholesale Indian Hair in India Without Any Mixing. This Hair is Authentic, Remy Virgin Human Hair. We Offer to Sell Low Prices in the Market. We Sell High Quality Indian Natural Hair With Natural Color. This Natural Color Hair Can Be Dye and Bleach to Change the Color of the Hair. It’s Available in 10 to 30 Inch Hair Lengths. It is 100 % Temple Raw Hair. These Hairs Can Be Easily Restyled. It is Natural Human Hair With Natural Shine and Smoothness. We are leading manufacturer of Human Hair. We supply to sell wholesale Indian hair in India without any mixing. This hair is authentic, remy virgin human hair. We offer to sell low prices in the market. We sell high quality Indian natural hair with natural color. This natural color hair can be dye and bleach to change the color of the hair. It’s available in 10 to 30 inch hair lengths. It is 100 % temple raw hair. These hairs can be easily restyled. It is natural human hair with natural shine and smoothness.